The fellas behind The Bread Social, Tweed’s hidden gem of a bakery, are one incredibly talented bunch. Bakers, farmers, foragers, fishermen, you name it, they can do it. 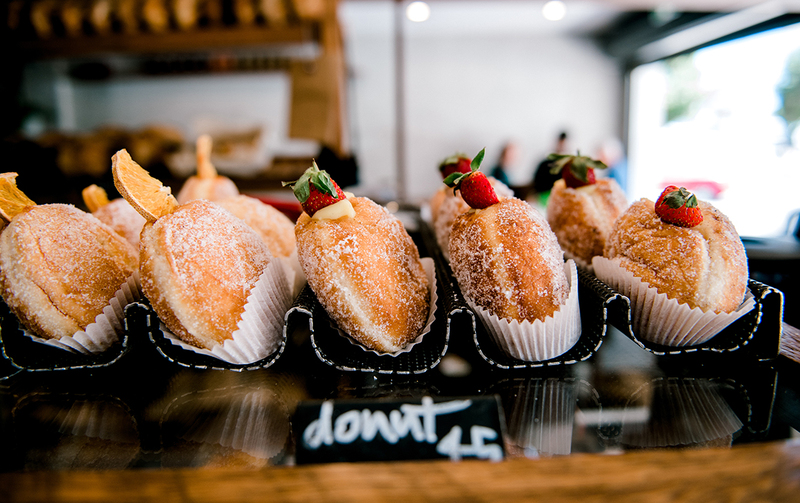 Which is why their bakery, located on Bay Street, on the southern tip of the Coast—that’s right, we’re claiming them as our own—has been a booming success since it opened its doors in 2016. The compact spot pumps out freshly brewed coffee and some of the most mouth-watering baked goods you’ve ever laid your eyes on six days a week. Oh and we can’t forget they also run their OG digs at The Farm in Byron Bay, supplying the Three Blue Ducks with all their breaded goods. But like we said, the team here (Tom Scott, Sam Saulwick and Paul Giddings) are more than just bakers, they’re creators, so when the space next door to them (formerly a hair salon and before that a cake shop) went up for sale, they jumped at the chance to expand their digs, and with it start offering a sit-down menu. And we’re not talking toasties or sandwiches here (although they do make a cracking BLT too), no the new, ever-changing menu are plates bursting with flavour and delicacy, serving up dishes that wouldn’t be out of place in in a fine dining restaurant. And you can get the goods for bargain prices. Yep, we’re loving it. 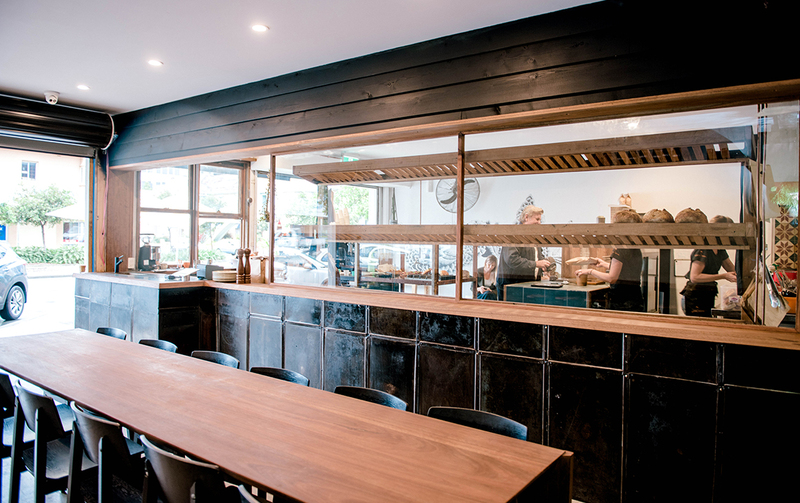 The space, which can now accommodate up to 25 extra people for a sit-down brekky or lunch is chic minimalist with a wholesome feel. And while compact, each detail has been lovingly thought out. Edging the polished concrete floors are 110-year-old Italian tiles, while the length of one wall is panelled with reshaped baking tins found from when the space operated as a cake shop. 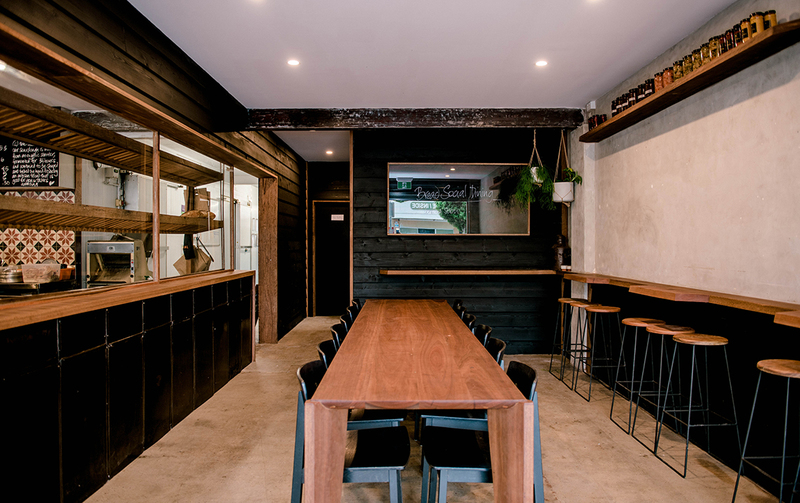 There’s a long, spotted gum communal table and black pine weatherboard framing the ceiling. In short, it’s the kind of space you’re going to want to stay a while. The menu, which consists of 3-6 dishes, will change weekly or daily depending on the local produce. It’s available 11am till 2pm (NSW time) Monday to Saturday, with Sundays rolling out by the end of the month. The Bread Social pride themselves on getting only the freshest ingredients so you could ask any server and they’d be able to tell you where every item was sourced. We think that’s pretty special. To give you an idea of what to expect, we went head and sampled their very first menu. 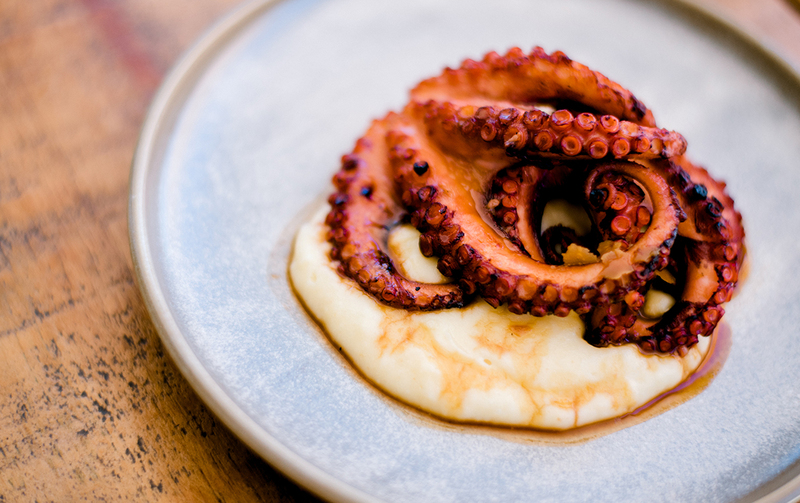 To start was local octopus on a bed of silky smooth potato mash and burnt Whey sauce. It’s total melt in your mouth stuff. Next up was the pumpkin with dukkha, labneh and bush tomato reduction. So simple and so flavoursome, it’s a total winner and one we hope they keep bringing back. 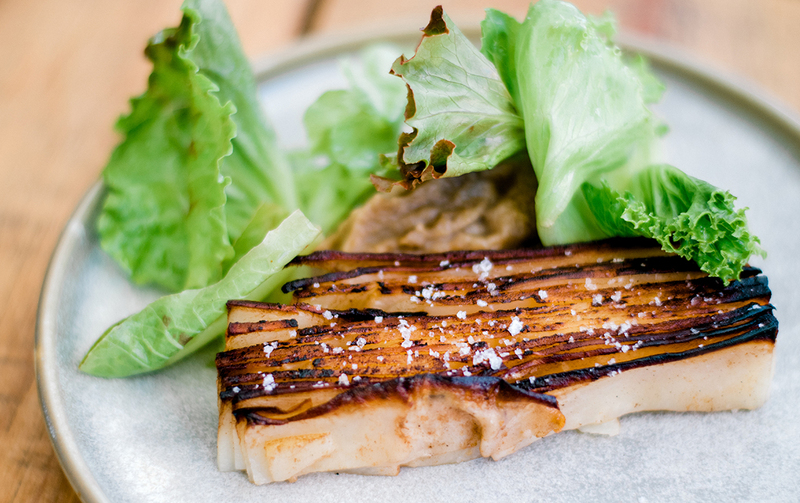 There was also thinly sliced celeriac, perfectly crispy with pickled lettuce and artichoke. Fresh, light and moreish. And because you have to finish on something sweet (yes, it’s still ok to get a couple of their doughnuts to go) we couldn’t go past the dessert, Ballina honey panna cotta, bush lemon ash meringue sprinkled with matcha and topped with wild berries from the chef’s garden—see what we mean about local produce? If you need another reason to check out the southern tip of the Coast or to head back to The Bread Social, we’ve just given you it. We’ll see there.